Super creamy gluten-free southern baked macaroni and cheese recipe loaded with three kinds of cheeses. 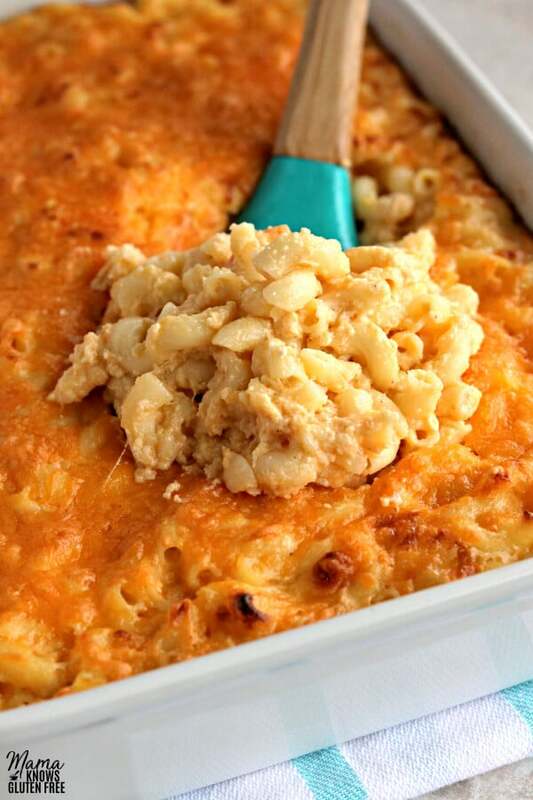 The best gluten-free mac and cheese baked to perfection in just 20 minutes. Recipe originally published April 2017, photos and post updated September 2018. I have never eaten a macaroni and cheese dish that I did not like. I absolutely love macaroni and cheese! All different kinds from the boxed to the baked. That’s why I knew I was going to have to find a way to make gluten-free macaroni and cheese. The first meal I was allowed to make as a kid was Kraft Macaroni and Cheese. There was something quite magical about that yellow powder turning into a yummy cheesy sauce. Even though my tastes evolved, hello Kraft Velveeta Shells and Cheese, I really had no idea what real macaroni and cheese was. That was until I moved to the South. Yes, my friends, there is nothing better than southern macaroni and cheese. Southerners love macaroni and cheese like family. There’s even an old joke about it: You know you’re in the South when restaurant menus list mac and cheese as a vegetable. My gluten-free southern baked macaroni and cheese recipe is loaded with three kinds of cheeses and is made super creamy with the addition of evaporated milk. 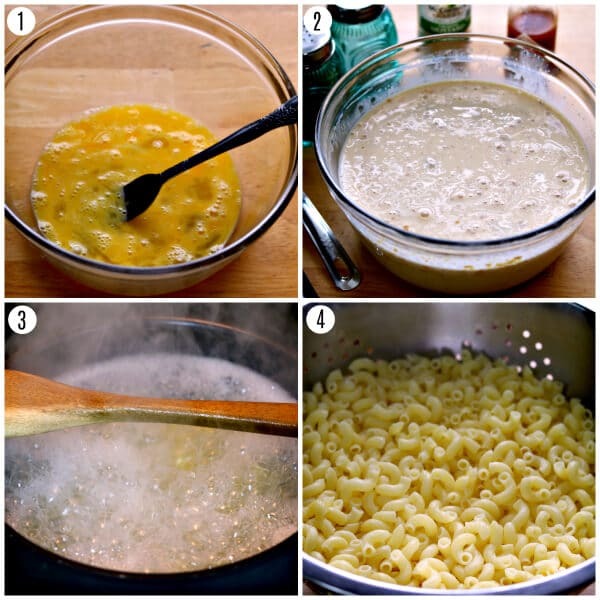 One of the most important ingredients to a successful gluten-free macaroni and cheese dish is the noodles. Gluten-free pasta can be tricky. I HIGHLY recommend Barilla Gluten Free Elbow pasta, or you can also use penne and rotini successfully. I have tried just about every brand of gluten-free pasta on the market and Barilla is hands down my favorite. No slimy and mushy pasta from them! I always salt my water, at least a tablespoon for 1 pound of pasta in 4 quarts (16 cups) water. Also, adding a teaspoon of olive oil to the water to help the pasta not stick together. Make sure to add the salt, olive oil and pasta to the water once it has come to a rolling boil. Pro Tip: Place a wooden spoon over the pot to keep it from over boiling. It is very important that you cook the pasta al dente to the box’s directions. Pro Tip: I also always rinse my pasta with cold water after draining it to keep it from cooking longer and getting mushy. Boil the pasta according to the box’s direction in a large pot. You will want “al dente”, not mushy. Make sure you salt the water. (photo 3) Pro Tip: Place a wooden spoon over the pot to keep it from over boiling. Once pasta is cooked, drain the water and return to the pot. (photo 4) Pro Tip: I also always rinse my pasta with cold water after draining it to keep it from cooking longer and getting mushy. Try not to eat it all in one sitting. Enjoy! 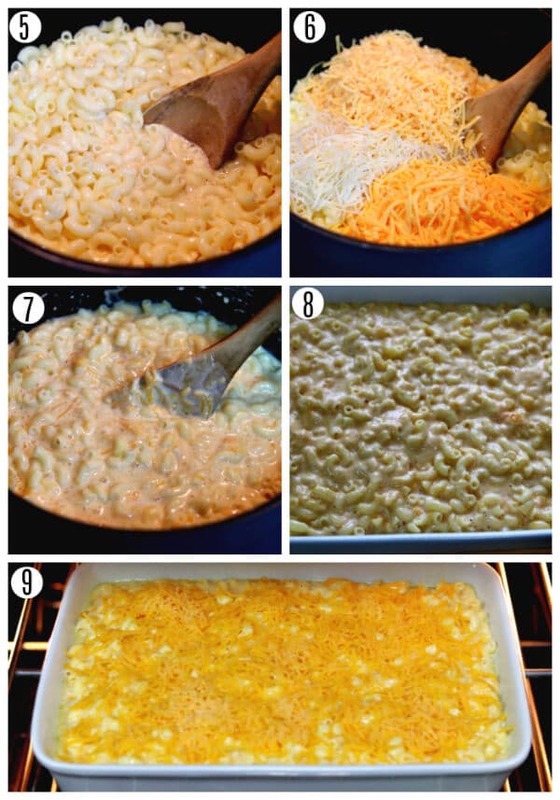 If you have any leftovers the macaroni and cheese can refrigerate then reheated in either the oven or microwave. If you are looking for a super creamy, flavorful, and easy gluten-free mac and cheese recipe, I promise Mama Knows Gluten Free’s recipe for gluten-free southern baked macaroni and cheese will not disappoint. I make this dish for every holiday and anytime we need to bring a dish to a gathering. P.S. Don’t fret my gluten eating friends, you too can enjoy this super rich and delicious mac and cheese, just use regular macaroni. Looking for more gluten-free pasta recipes? Try my recipes for gluten-free pasta salad. Super creamy gluten-free southern baked macaroni and cheese recipe loaded with three kinds of cheeses. In a large bowl combine whisked eggs, evaporated milk, powdered mustard, salt, pepper, and Tabasco and mix together until fully combined. Boil the pasta according to the box's direction in a large pot. You will want "al dente", not mushy. Make sure you salt the water. Once pasta is cooked, drain the water and return to the pot. Pour the melted butter over the pasta and stir until all the pasta is covered with the butter. Stir the milk and egg mixture a few times and then add it to the pasta. Add half of the cheese mix to the pot and stir over medium heat until cheese is melted. Add the remaining cheeses and continue to stir until thoroughly melted. Pour the macaroni and cheese into the baking dish. For extra yumminess add some extra cheddar cheese to the top and bake for 20 to 25 minutes. I HIGHLY recommend Barilla gluten-free pasta for ALL of my pasta recipes. It is very important that you cook the pasta al dente to the box's directions. I always salt my water. Pro Tip: Place a wooden spoon over the pot to keep it from over boiling. I also always rinse my pasta with cold water after draining it to keep it from cooking longer and getting mushy. This recipe can be also made with regular (gluten/wheat) pasta. Thank you, I am so glad you have created this blog. One thing unfortunate is that a lot of folks that are gf are also lactose intolerant as am I. I miss all things dairy. And I really miss mac n cheese. I have tried the boxed gf kind and took a lactaid pill. But I’v also tried the gf noodles with dairy free cream cheese. I”m excited to read the rest of your recipes. Thanks! Hi Jeni! I totally understand as my husband is dairy free as well. I hope you are able to find other recipes on my blog that are dairy free or you can substitute your choice of lactose-free products. If you do, please let me know how they turn out. I am working on making more dairy free recipes. Thanks so much for commenting! Hi Lynn! You sound just like me, you should see my pantry. Let me know how you like it. I hope you enjoy it! Thanks for the mac & cheese love. This looks fantastic I can almost taste it! Do you know by chance how many carbs there are in this and if the recipe is high on the glycemic index? I have diabetes and so gluten free is for me but sometimes I need to be careful with recipes! I think though this should work perfectly! Hi Kimberly! I am not sure about the carbs and glycemic index. When I checked for mac & cheese on a glycemic index calculator is said 64 (Medium GI). 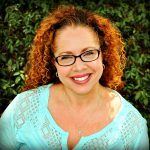 I had gestational diabetes when I was pregnant so I understand how important it is to balance your blood sugar with food. I hope that you will be able to find other recipes on my blog that you can enjoy. Thanks so much for commenting! I’m so excited to have found your blog! As I start my gluten free journey I realize I have a lot to learn and I’m so glad for some insightful (and delicious) guidance along the way! This Mac n Cheese is for sure going on the recipe list! Hi Larisa! Welcome to the gluten-free community. I am so happy that you found my blog. I know how hard it can be to just starting your gluten-free journey. If there is anything I can help you with, or if you have a favorite recipe you want help with modifying please let me know. The mac and cheese recipe is one of my personal favorites, you won’t even be able to tell that’s it’s gluten-free. Nothing tastes as good as gluten free feels! Oooo, this looks delicious! My husband and kids LOVE mac and cheese and hubby has come up with a recipe we all love but we’ll have to give this one a try. I’ll have to check out the Barilla gluten free noodles, too. We just recently moved away from using most wheat products and I have not been able to find a good noodle substitute we like for things like this yet. So far, the only noodle substitute we have been happy with is spaghetti squash for things like spaghetti and chicken alfredo. Hi Ashley! I have tried just about all the brands of gluten-free noodles and hands down Barilla is the best! I bet your husband’s mac and cheese recipe is super yummy too. 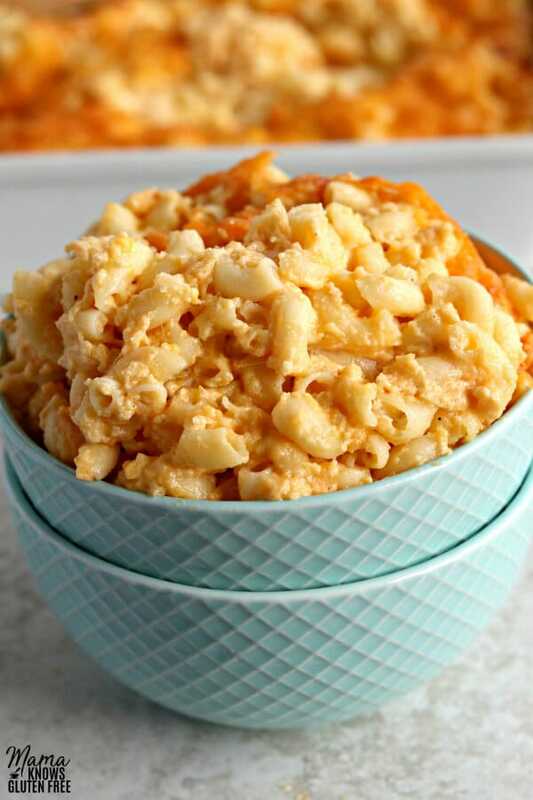 I’ve never had a mac and cheese I did not like, but I adore southern style mac and cheese! I made this recipe last night. I didn’t have the evaporated milk, so I used 6 oz of Half n Half and 6 oz water. This was the best macaroni and cheese recipe I have ever made! My hubby absolutely loved it. A real keeper. Soooooo good and gluten free! Thank you so much Janie! You just really made my day.😊 I am so glad that you and your husband enjoyed it. It’s one of my family’s favorites too. Thanks for letting me know about the substitution working. I’ll remember that if I ever find myself without the evaporated milk. I am excited to try this recipe out at home. I have a niece that just went gluten free and I think she will love this. I did notice the instructions call for combining sweetened condensed milk with the eggs, evaporated milk, etc. Was that an oversight? I didn’t see sweetened condensed milk on the ingredients list. Hi Michale! It was an oversight. My original recipe had sweetened condensed milk in it as well. 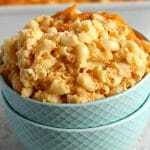 Most people are not used to a sweet mac and cheese so updated the recipe to just use evaporated milk. I hope your niece enjoys it! My kids absolutely LOVE my baked mac and cheese. There’s nothing more comforting than baked mac and cheese and I’m loving this gluten-free recipe! I totally agree! One of my all-time favorites. Thank you so much Rebecca for the wonderful 5-star review! This mac and cheese looks excellent! Thank you Wilhelmina! I hope you enjoy it. Thank you for the wonderful 5-star rating. I used Gruyere cheese and mild cheddar and it was “ da bomb “. None left to bring home after a recent family reunion. Thank you for this fabulous recipe 👍 I would give this recipe 10 stars if I could!!! Oooh, Gruyere cheese sounds amazing! I am so happy that everyone enjoyed it. Thank you so much Donna for the wonderful 5-star rating recipe review. You really made my night! You are so welcome, I love sharing what I make for my family. I’m going to make this next weekend for my vegetarian sister and gluten free self, I will however add broccoli to the mix and breadcrumbs to the top cheese. Can’t wait to make it. Hi Jenny! I hope you and your sister enjoy the mac-and-cheese! I bet adding the broccoli and breadcrumbs will be delicious. I’ve added breadcrumbs often to my mac and cheese too. Thank you so much for commenting. How could you make ahead? If you prepare completely with baking night before and reheat next day will it be dry? Is it possible to prepare in the afternoon without baking and let sit in fridge and bake later in the evening just before serving? Hi Janet! Yes, you could prepare it and let it sit in the fridge and bake it before you serve it. I enjoy eating the leftovers and reheating it, but it’s definitely best when it’s first baked. I hope you enjoy the mac and cheese! Im the only gluten intolerant person in my family and i made this for my family thanksgiving; by far the best dish there! Thank you so much Andrew for the wonderful 5-star recipe review. I am so happy that you enjoyed the mac and cheese for Thanksgiving! That means so much to me. Thanks again! Looks amazing! Any suggestions for not using Velveeta? We have to avoid processed cheese in my house. Hi Amanda! You could try another cheese like Colby Jack or Gouda. Please let me know if you try it and how it turns out. Thank you so much! I can’t have any milk products, however I can tolerate hard cheeses. Can I use lactose free milk instead of the evaporated milk? Hi Veronica! I have never tried it without the evaporated milk. I know another reader used evaporated almond milk in the recipe and it was successful that way. Made this with my mom for a party we hosted. EVERYONE was eating it, regardless of it being gluten free pasta!! I will have to continue to use your recipes as I adventure into gf cooking myself! Thank you Rachel for the wonderful recipe review! I am so happy to hear that everyone enjoyed the mac and cheese, even if they weren’t gluten-free. I hope you enjoy the other recipes you try and please let me know if I can help in any way. Thanks again! Can you assemble the casserole and freeze it for later use? If so, would you bake it from frozen or allow it to thaw first? How much longer would you bake it if from frozen? Is there a good substitute for Velveeta? Thank you so much! I’d like to make this ahead of time for a church supper two days from now. It will be a kid-friendly alternative to the chili, and some of the children can’t have gluten. Hi Colette! I have made this a day ahead of time and then baked it the next day. I covered the casserole dish with plastic wrap and then refrigerated it. I then baked it for the normal amount of time the next day. I have not tired to freezing the macaroni and cheese. I have not used a subsite for the Velveeta, but you could try a creamy cheese like Monterey Jack. Every time I make this for a pot-luck everyone enjoys it! If you decide to make it, please let me know how it turns out. Thank you! This is fantastic!! Look no further for the perfect GF mac and cheese. No one would know its GF, don’t tell them until after dinner. Unbelievable, Thanks for sharing! Thank you so much for the wonderful 5-star recipe review Beth! I am so happy that you enjoyed the mac and cheese. I always take this to potlucks and no one ever knows it’s gluten-free. You are so welcome, I love sharing what I make for my family. Thank you again! Not that brown rice and quinoa pasta isn’t tasty on its own, but the milk, eggs, butter, and everything else made this mac shine. The secret in it is the dry mustard. It really imparts a unique and savory flavor to the dish. I didn’t have that much evaporated milk (for the 5lbs of rotini) so I just used half of the amount called for and it turned out great. I prefer a chunkier mac to creamy so this strikes an awesome balance. I used the ALDI Gluten free Brown Rice and Quinoa Rotini. At $2.89/lb, it’s a very good deal and it cooks well. Thank you for this fine recipe. I can’t wait for our family and friends to try it Saturday. Thank you so much for the wonderful 5-star recipe review! I wish we had an Aldi in my city. I’ve seen so many rave reviews about their gluten-free products, plus it sounds so affordable. I hope your family and friends enjoy it on Saturday. Thank you again these review me a lot to me!